Another full week is in store for CU’s Jews. Hillel’s Weekly BBQ is at 5:30 p.m. This event is at Hillel, located at 2795 Colorado Avenue. Come join CU’s only Jewish sorority, Sigma Rho Lambda, at the Sink this Tuesday night for their annual “Sweet Treat” event. This year, the girls are raising money for CU Global Medical Brigades. The event starts at 6 p.m. and goes to 9 p.m. There will be all you can eat pizza, homemade goodies, cupcake decorating and even a pie-eating contest. Chabad’s Women in the Torah class is at 8 p.m. at 821 19th Street. This week, the group is discussing the Matriarch Rachel. 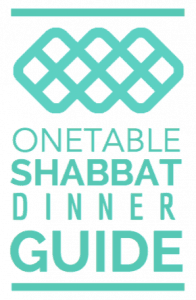 Hillel’s L’dor V’dor is at 4:00 p.m. Meet at Hillel and help deliver Shabbat meals to Jewish elders in the community.